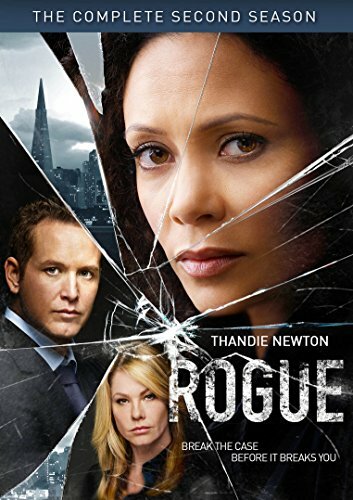 Undercover detective Grace Travis (Thandie Newton) crossed the line between right and wrong and her involvement with the city's most powerful and dangerous crime family caused her to pay the ultimate price - the loss of her son. This season, she's left undercover life behind to be a better mother to her daughter. She also has a new job as a handler for an FBI task force investigating corporate espionage in San Francisco. Recently separated, with the arrival of her estranged mother, she has plenty of drama on the job - and at home. But when her undercover operative goes missing, Grace is forced back into a world of lies and deceit, following a trail of dirty money and investigating four soldiers at the center of the drama. Rogue is produced by leading independent studio eOne in association with DIRECTV. The series is created by Matthew Parkhill (The Caller) who also serves as Executive Producer together with John Morayniss and Michael Rosenberg for Entertainment One (eOne) and Nick Hamm of Momentum TV. eOne handles the worldwide rights to the series in all media. "Script to Screen" Behind-the-Scenes Featurettes: "Casting" , "Developing Characters/Story", "Inside the FBI Task Force", "Who's Spying on Who?"